The main chain displays the process of producing a geophysical product from the instrument measurements. Figure 1: Main chain of the MWR instrument. 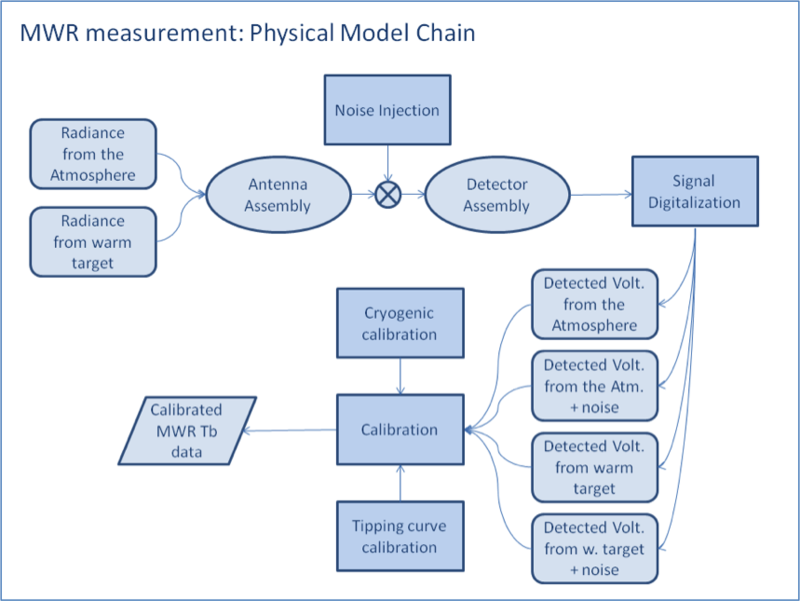 The physical model chain of the MWR measurement displays the physical processes associated with the measurand detection and calibration. For ground-based MWR, the primary measurand is the natural down-welling atmospheric radiance, collected by the antenna and transformed into voltages by the detector, and finally calibrated into brightness temperature (Tb). Figure 2: Physical model chain of the MWR measurement. The processing model chain displays the calculation steps that the data undergo to obtain the final measurand of interest, e.g. temperature and humidity profile retrievals. The input is derived from the previous step (calibration) and each output leads to the next step in the processing chain. 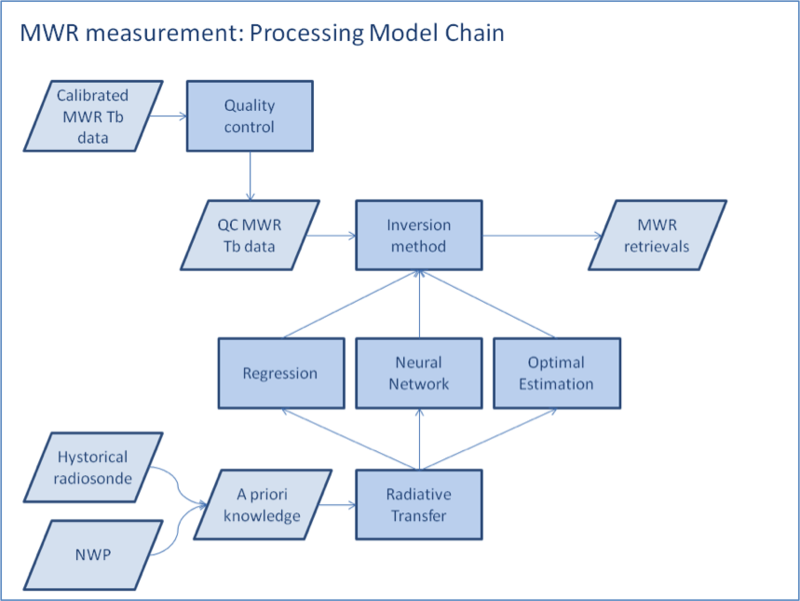 Figure 3: Processing model chain of the MWR instrument. The metrological model chain describes the flow diagram of the measurement, including references to calibration, uncertainty sources (both from random and systematic effects), and linkages to reference standards. The aim of the metrological chain is to demonstrate that linkage to a reference standard is achieved. In some cases, it will be possible to obtain full metrological traceability - that is, an unbroken chain of calibrations back to the International System of Units (SI). In other cases, however, such a complete chain may not be possible. It is important, however, to show what references do exist. 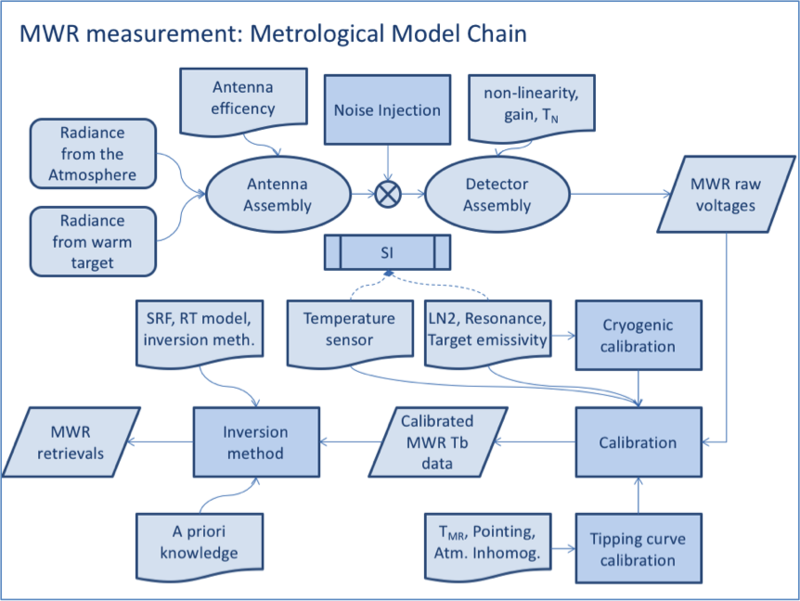 Figure 4: Metrological model chain of the MWR measurement. GAIA-CLIM aims to provide reference grade products, providing metrological model chains encapsulated in a “how to measure” guide describing the individual products. The ultimate goal is to produce metrologically-rigorous traceable measurements for the target measurement systems, providing practical coverage factors. For those techniques with sufficient maturity, an open-literature paper describing the product, the uncertainty, and its traceability shall be published.